Product prices and availability are accurate as of 2019-04-18 18:31:47 UTC and are subject to change. Any price and availability information displayed on http://www.amazon.com/ at the time of purchase will apply to the purchase of this product. 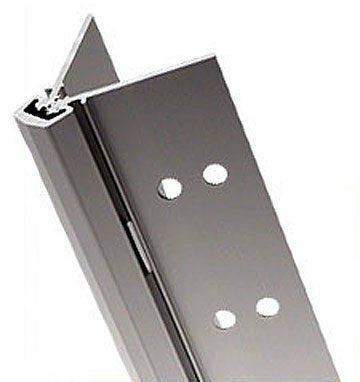 SELECT Aluminum Geared Continuous Hinges provide the longest-lasting solution for high-traffic doors. As a result, they save materials and energy. Our hinges have been proven to withstand 25 million cycles - equal to more than 60 years of use on the average high-traffic door. A longer life cycle means fewer hinges used, which means fewer resources used, fewer emissions produced and fewer tons of waste. And fewer maintenance dollars and headaches for you. They last so long we back them with our never-ending Continuous Warranty TM. They're a hassle-free way to make a greener building.